Betcade CEO David Chang has a vision to bring real money gambling apps to Android. 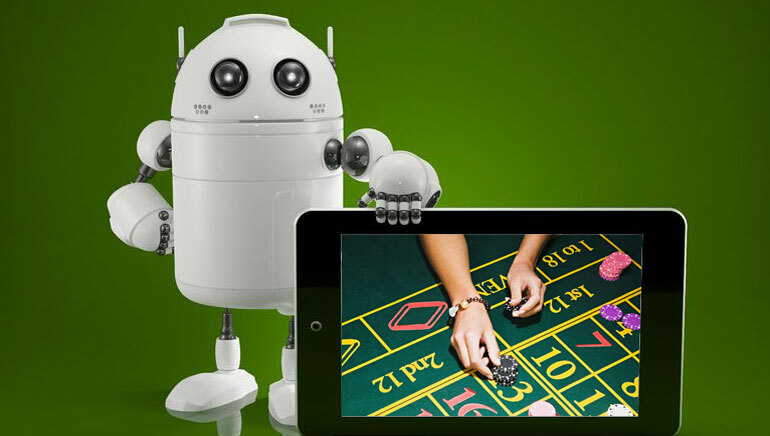 Online Casino Reports sat with him for a comprehensive Q&A about turning this vision into a reality, Android, the gambling app market and the industry as a whole. Android gambling fans still need to do most of the hard work when they seek real money gaming apps online. Betcade promises to greatly simplify the process and the Android app store will launch in summer 2016. It should help players discover, manage and download reliable gaming apps provided by developers whose reputation precedes them. The app store is dedicated to Android users, who are currently at a disadvantage compared to their peers using Apple gadgets. 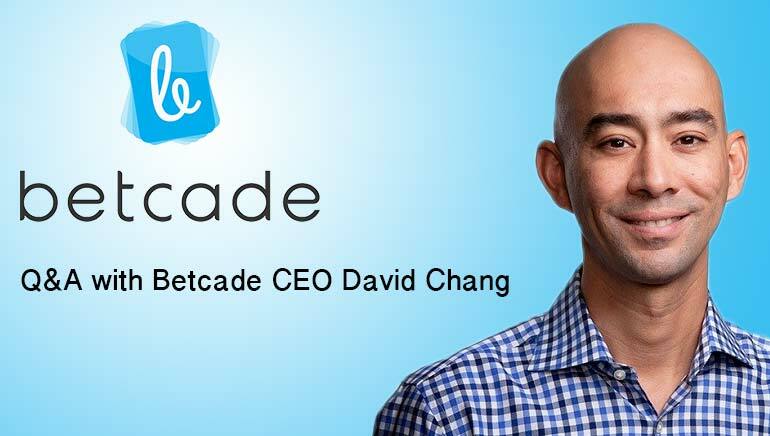 We have sat down with the man with the plan, Betcade CEO David Chang, to ask a few of questions to learn more about how the company plans on building on this promising idea and how it came up with it in the first place. If the Android App Store proves to be the major breakthrough that Betcade is hoping for, many will try to follow their example. Go over the questions below and find out how they plan on tackling the competition, expand their business and stay ahead of the pack. It’s also interesting to know what payment processing business model they plan on using and how will online operators promote their products through the Android App Store. Last but definitely not least, ranking and promoting apps will be a challenge in itself, but apparently Betcade has a plan for that too. So without further ado, let's get on with the questions. How did you come up with the idea of launching Betcade? Prior to founding Betcade, I spent the last several years launching and growing Gamblit Gaming with the goal of bringing a new interactive entertainment game experience that would appeal to the millennial generation to casinos. The idea of Betcade came out of this experience as an operator, frustrated by the realization that reaching players on Android as a gaming company was going to be nearly impossible. As Android is the world’s most popular mobile OS, this was a tremendous missed opportunity. 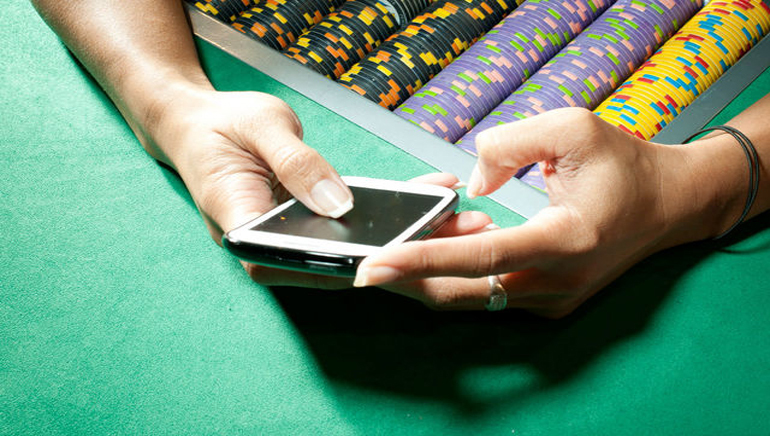 As the casino industry and its consumers expanded further into mobile, I could see a major and unmet need for a mobile discovery, distribution, and a payment solution on Android. Most importantly, I realized that as an operator I couldn’t solve this problem, but by founding the industry’s first gaming app store I could. Do you expect strong competition in the second half of 2016, or you think that Betcade will be one step ahead of the game when it launches? It’s nice to be first to market in this respect. But the toughest competition for any product is the competition for consumers’ time. Players have so many entertainment options literally at their fingertips. It’s critical that we offer a best-in-class user experience that makes it easy for players to find and play the content they want. User experience has been a huge focus for us. How do you plan to tackle the legal challenges posed by online gambling restrictions in various countries? We are focused on the UK market for now and have been working with all of the necessary regulatory bodies in this market to ensure the store and everything in the store is compliant with all applicable regulations. That said, expansion will be in part directed by our operator partners – we will seek to open in the markets that are most important to them. As we enter each market, we’ll go through the same process to ensure that we are compliant and that only licensed gambling apps in each market reach consumers in that market. Do you think Google will eventually allow real-money gambling apps on its Google Play store, hence be a competitor for Betcade? Google has given no indication that they’ll change their stance. Further, the Betcade store is unique to the gaming industry and that has allowed us to tailor our business model to be more industry specific than the traditional app store model of taking 30% of gross - a model that won’t work for online operators. Betcade instead will operate with an industry standard affiliate + payment processing business model. Are users ready to migrate from hybrid and container apps to native ones and is this the beginning of a trend? We think so. In many ways, container and hybrid apps have been a functional necessity due to some pretty severe constraints on mobile distribution from both of the big app stores. Once those constraints have been lifted by new players in the market, native apps, which are preferred in most other mobile content categories, will simply perform better. How do you plan to promote and rank the applications that will be distributed across Betcade? Players will be able to browse apps by categories such as sports, slots, poker, etc. We’ll have algorithmically driven lists such as most popular, fastest rising, what’s new, and promotions of time based events such as slots or poker tournaments and sports matches. Players can also opt to have selections targeted to them based on their interests and behaviors. In addition, store search will be a very strong component of app discovery. Finally, there will be editorially driven features like “editor’s choice” overall and across the store categories. Which were the major obstacles you had to overcome while developing the app store? First, building an app store is not an easy thing to do, it’s an incredibly complex product to build. Gaming is a regulated industry and a very unique business. So our store and overall business model needed to be tailored specifically to the gaming industry and the needs of gaming operators. We really worked hard on optimizing the user experience for our app store which required a lot of re-thinking of the basic store model paradigms you find in the Apple and Google stores. Finally, we will be a licensed payments institution working in the gaming industry so there is still a lot of regulatory and compliance work there. I’d say any startup needs to be very committed to the time and resources required to operate in this challenging and regulated industry. What are your plans for the first couple of months following the launch of Betcade? We’re going to be 100% focused on attracting players to the store and giving them the best possible experience across every aspect of their interaction with Betcade. What feedback did you get after launching the early access program for licensed gambling apps? Our early access partners have been incredibly helpful. They’ve helped us refine aspects of our user experience, develop our app onboarding process, and make sure our business model is extremely friendly to operators. Do you expect the Android app store to be tilted towards video slots and casino games (which tend to have more users) or focus on sports betting and poker as well? Not really, the store will feature every category of gambling game, including new types of gambling games like skill games and even e-sports games. In founding Betcade, we wanted to create a service for the entire gaming industry and that means paying attention to all of the content categories. So far, we have been very fortunate to be working with the best operators that are responsible for a broad range of content. To a user that means that no matter what game that person is into, they will find it on Betcade! Thank you David for taking the time to answer our questions, we wish Betcade the best of luck and hope to see it succeed for the benefit of the players, the operators and everyone in-between. Stay tuned for more news about Betcade's exciting voyage on OCR!